St. Petersburg has seen another opening of a brand new hotel in June. 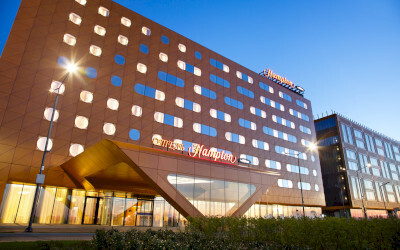 The 3-star Hampton by Hilton Saint Petersburg ExpoForum Hotel is conveniently set just next to the new International Convention and Exhibition Centre - ExpoForum - one of the five largest exposition centres in the world, offering a wide range of indoor and outdoor function space. The hotel has 207 rooms with free Wi-Fi, a restaurant for 150 persons, lobby bar, fitness centre and two conference halls for up to 50 guests. 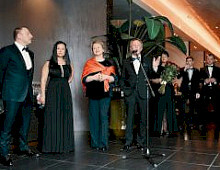 The hotel is located just 3km from Pulkovo International Airport and very close to the city centre. 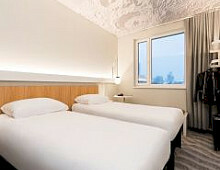 The sister hotel the 5-star Hilton Saint Petersburg ExpoForum is planned to open in January 2017 with 237 guest rooms.